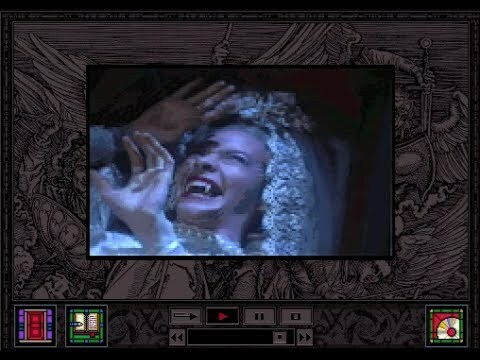 Vampire Beauties: Vampiress Review: "Dracula Unleashed"
The Gist: An American business man comes to London in the late 1800's and investigates some mysterious murders of people being drained of their blood. Clarification: So this is an interactive CD game which came out in 1993. For those too young to remember these types of games they were movies where different actions led to different outcomes. This is one of the few games of this type to actually get positive reviews. 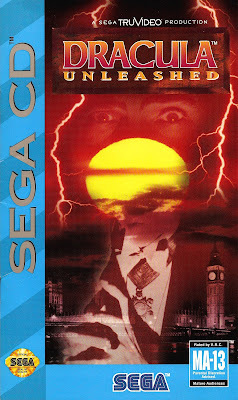 At the time it came out for the Sega Cd and PC but was re-relaased as an interactive DVD game in the early 2000's. As the story goes this is a direct sequel to the Bram Stokers Dracula novel. You play the part of Alexander Morris who is Quincy Morris' brother. You go around talking to different people who knew your late brother. If you hold the right items when going into the right locations the story will unfold. If you do not something "bad" happens and it's game over. Selling Point: It's is a surprisingly fun game (surprising since major electronics manufacturers like Panasonic got out of the video game business because these types of games didn't sell well). Fame Vampire Factor: So as I mentioned if you screw up it usually leads to your death. During the early parts of the game that death is generally at the hands of your turned girlfriend Annessete. If you do well enough you will have some run ins with Dracula's brides. It's definitely worth a look if you have a few hours free (though it's not as good looking the Sega CD/PC original is a much more complete version than the DVD cut). I give it a Vampire Beauty Rating of 4 out of 5.